Last week, we have released V2.17 3uTools. And this version allows users to easily downgrade iPhone 4s or iPad 2 to iOS 6.1.3 or iOS 8.4.1. You can check here to know more new features of V2.17 3uTools. After the tutorial about downgrading to iOS 6.1.3 published, more and more users feel interested in this. Since that, I decided to make a separate FAQ for downgrading users. Here are the answers to frequently asked questions. Q. Do we need shsh to downgrade to iOS 6.1.3? A. No, you don’t need any shsh. You can just install the latest 3uTools and then downgrade. Q. Is it possible to downgrade iPhone 4s icloud locked with 3uTools? A. No, if your iDevice is iCloud locked, we cannot help you. Q. Will you make a tutorial video about downgrading? A. Yes, I will. But maybe late. After I finish video, i will upload to our Youtube Channel, so please subscribe us on Youtube. A. You don’t need to reserve baseband, which means when your flash your iDevice, you are not suggested to select the option “Reserve Baseband While Flashing” as the picture below. Q. 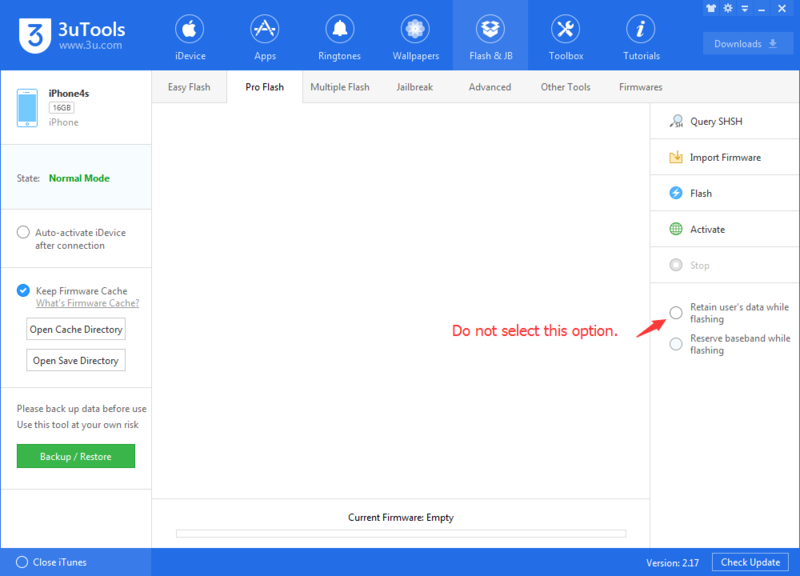 There are 3 custom firmwares in the tutorial for iPad 2, which one should I download. A. It depends on the product type of your iPad 2. You can check it on 3uTools. Q. What iDevice we can downgrade to iOS 6.1.3 with 3uTools? A. 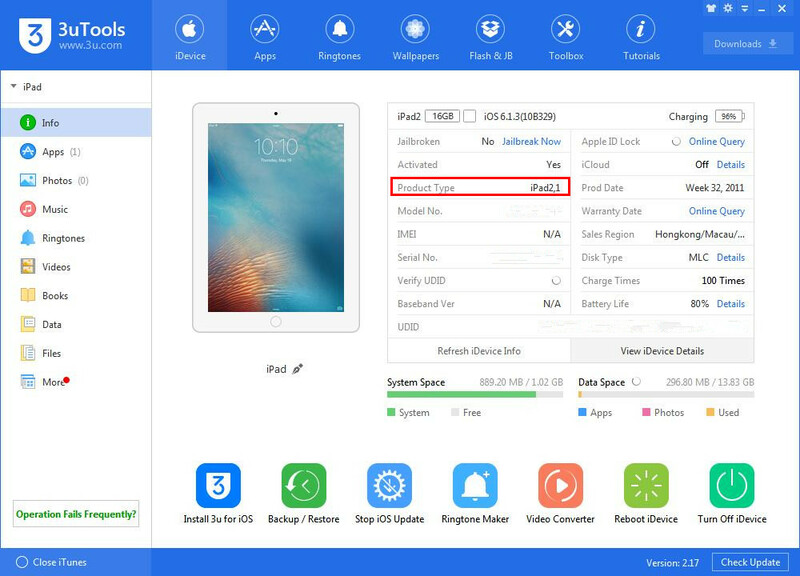 At present, 3uTools only support iPhone 4s and iPad 2. Q. Does it support to downgrade to iOS 7? A. 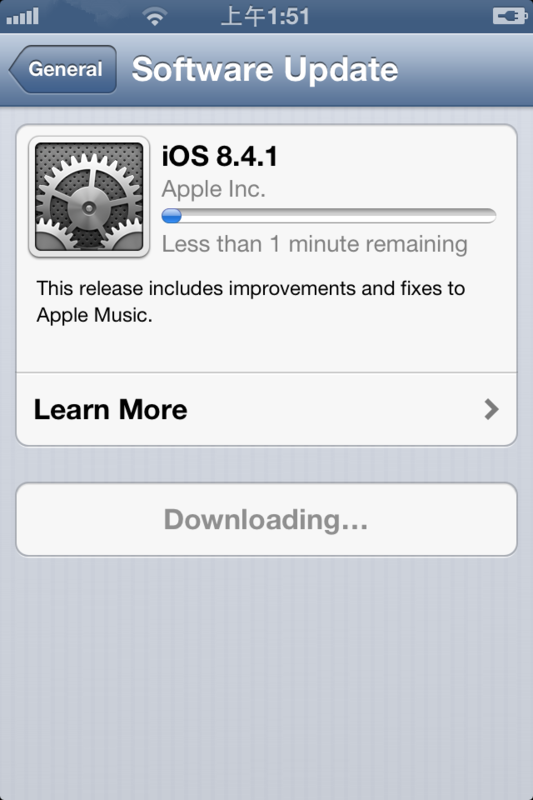 No, only iOS 6.1.3 is available on this tutorial. Q. Do we need to jailbreak to downgrade? A. Yes, you should upgrade your iPhone 4s or iPad 2 to iOS 9.3.5, and then jailbreak. 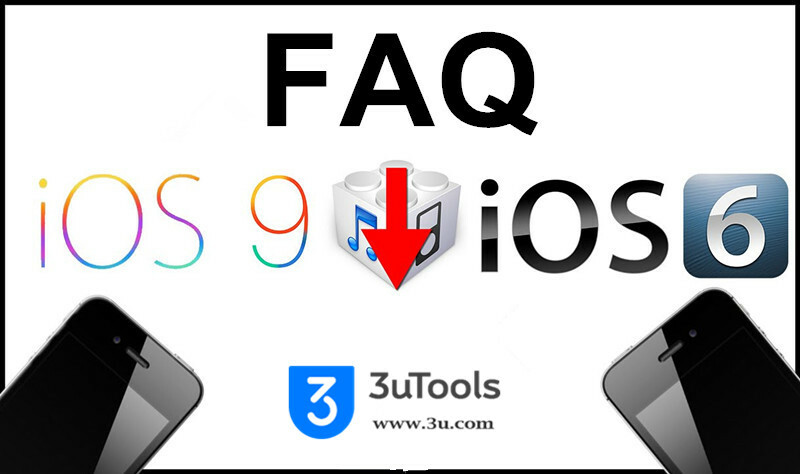 Check here to know how to jailbreak iOS 9.3.5 on 3uTools. Q. How can we get iOS 8.4.1 after we downgrade to iOS 6.1.3. A. After you successfully downgrade to iOS 6.1.3, you may need to go to "Settings" -> “General” -> “Software Update” to download the firmware of iOS 8.4.1. And then OTA upgrade to iOS 8.4.1. Q. How can I downgrade my iPhone 4 to iOS 6.1.3 from iOS 7? A. For this downgrading, you may need to check another tutorial: How to Downgrade iPhone 4 from iOS7 to iOS6.1.3 without SHSH Blobs Using 3uTools? Q. Does it work on iPhone 4s 8GB? A. Sorry to tell you that, we don’t have this iDevice for testing. So if you have iPhone 4s, 8G, you can try to downgrade and welcome to tell us any feedback. Q. I have to enter kDFU mode to downgrade? A. Yes, you must enter kDFU mode. Otherwise, you may fail to downgrade. Q. How can I enter kDFU mode? A. You need to add source: repo.tihmstar.net, and then search “kDFU” to download the kDFU app. Detailed tip about kDFU: How to Enter KDFU Mode While downgrading to iOS 6.1.3? Q. If my iDevice does not have wifi or network, can I downgrade? A. Before you downgrade on 3uTools, you must enter kDFU mode on your iDevice. And you need to add source on your Cydia, here you need network. So in word, you can not downgrade without network. But if you can find another way to enter kDFU mode without network, then you can downgrade. Q. Can I downgrade to iOS 9.2 - 9.3.3? A. No, you can not downgrade to any other iOS version except iOS 6.1.3 / 8.4.1. Q. 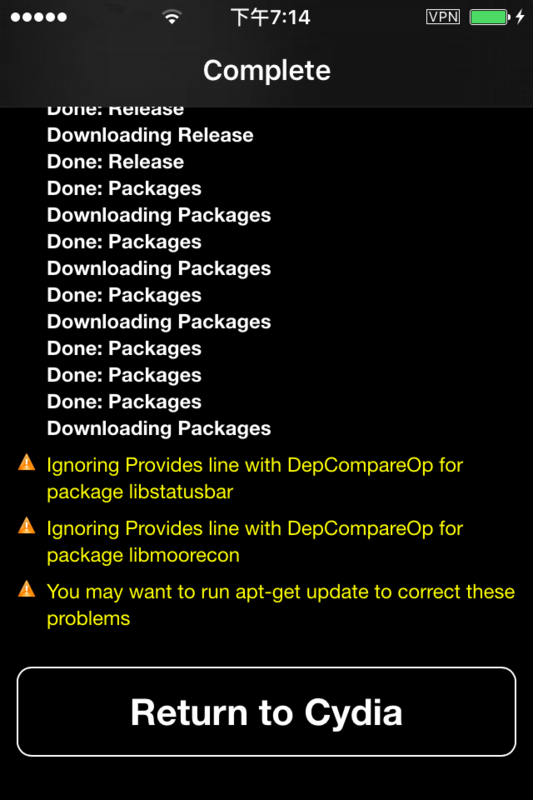 When I add source: repo.tihmstar.net, some errors exists. A. Just ignore this, and return Cydia to search “kDFU” and then install.